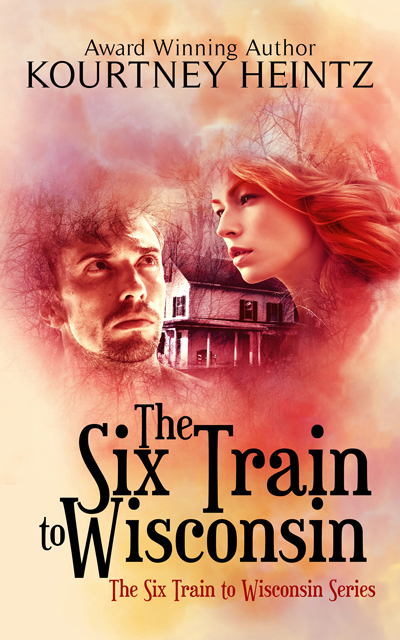 Terrific setting, lovable characters, and a great mystery all come together in this fabulous book. This cozy mystery is the fifth installment of Paige Shelton’s Farmers’ Market Mystery series. I love returning to Monson, South Carolina and hanging out with Becca Robins. She’s a delightful protagonist and it’s like getting to spend time with an old friend. In Merry Market Murder, we meet a few new characters with ties to the market and Monson. It fun to go somewhere familiar and still discover something new. Becca’s relationship with Sam heats up and the addition of a Christmas tree vendor at Bailey’s leads to a murder. The murderer wasn’t clear to me until the last few pages and I really liked how it all played out. It was a quick, fun read and the last 70 pages flew by! I admire how Ms. Shelton makes the setting so vivid. After reading certain scenes, I’d swear I just walked through a pine tree farm or an apple orchard. She does a wonderful job blending the farmers’ market and the mystery while still find time to deepen the romance between Sam and Becca. 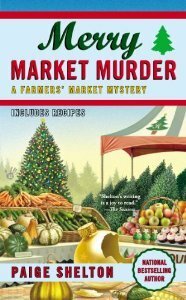 Merry Market Murder is the perfect holiday gift! I loved all the Christmas holiday stuff going on in Monson. Especially the holiday tree with all the gold fish decorations. The recipes sound scrumptious and I’m definitely going to try out the pumpkin cream pie recipe and the gingerbread biscuits. Nathan Bransford’s How to Write A Novel is one of the best writing books I’ve read. 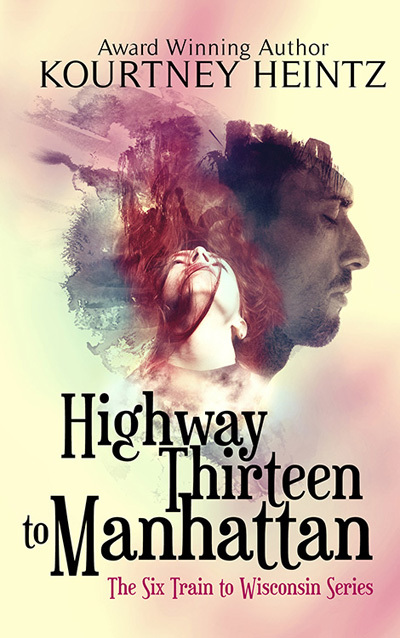 He lays out 47 steps for writing “a stupendously awesome novel that you will love forever”. It will be my writing bible going forward. Bransford’s writing style makes you feel like he’s your mentor imparting morsels of genius over salted caramel hot chocolate at your favorite Brooklyn coffeehouse. Right now, I’m in outlining mode. I spend the majority of my time in revision mode, so I was experiencing all the issues associated with drafting. But it felt like Bransford was there to remind me we’d been through this before and we could do it again. There is something about Bransford’s voice that makes you trust in what he says. Maybe it’s the confidential tone or the way he breaks it down. He doesn’t just tell you what to do, he tells you how to do it. His genuine love of writing shines through and his words got lodged in my brain and sunk deeper than other writing books had. 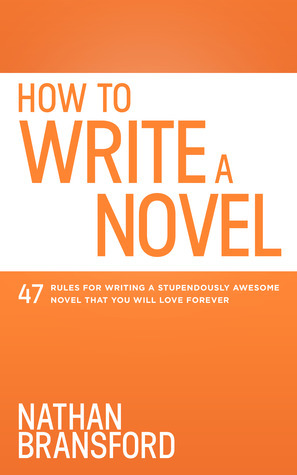 Every single rule in this book will make you a better writer. I went highlighter crazy on my Kindle. So much brilliance to be absorbed and applied. This book focuses on drafting but also has a really useful section on revising. Thanks Mr. Bransford! This is a book that needed to be written for first time writers and those of us a few books in. This entry was posted in Book Review and tagged fabulous holiday read, holiday cozy mystery, How to Write a Novel, Merry Market Murder, Nathan Bransford, Paige Shelton, Terrific writing tips, writing bible. Bookmark the permalink. I follow Nathan Branford’s blog and have read all his posts on this guide after its release. Sounds very user-friendly, just trying to decide if I need another novel-writing book! I’ve followed his blog forever. He taught me how to write the one sentence, one paragraph, and two paragraph hook for my books. I wasn’t sure I needed another one. But it’s Nathan so I figured it would be filled with great insight–I wasn’t disappointed! Hmm, learning how to write those is big. Maybe I’ll consider purchasing one more book! He has a way of breaking things down so they make sense on his blog and he has the same voice and tone in his book–that’s what made his book such a great read. Well maybe I’ll download the sample and take it from there. Thanks for the great review. I ordered Bransford’s book based on your Goodreads review of it, so thank you! I don’t buy too many writing books anymore, but this looked like a great one (I checked out the sample on Amazon, too). Should hopefully get it soon. His blog is a great resource for writers as well. Now if I could simply put words on a page and just be okay with it, I’d be grand! Thanks for the great review. I’ll check out the How to Write a Novel. I think my biggest fear comes after I finished writing the story: the revision. Does it offer good advice on how to do so? I’m always sitting there with a red pen unsure of what to cut out and what to leave in! He does address revising in his book. I used to be totally flummoxed over what revising should be. I went to a workshop with Margie Lawson and then I downloaded her packet and worked through it. Now I feel like a revision queen. 🙂 She gives you techniques and a plan of action for revising. Now I can revise in 2-4 months. Awesome. I will check it out! Thanks Kourtney! I’ll have to get the Nathan Bransford book if only for that salted caramel hot chocolate experience! 🙂 I don’t usually read writing books because it’s true that there is no secret formula or best way to write. Really, the best thing to do is to develop your own writing style so I’m glad to hear he advocates that. He gives you so much straight talk on writing. His rules are more like guidance with good explanation and exceptions explained. 🙂 He dispels some of the myths about writing too–I love his take on “the muse”. I had no idea the Kindle has the capability to highlight in various colors. I’ll have to check out the online instruction manual. Thanks! I have the Kindle app on my iPad. So maybe the actual Kindle device is different? Eek. Sorry. On the iPad, I just highlight a sentence and the color and note thing pop up. It sounds silly but because it’s in my Kindle app, I somehow forget it’s an iPad underneath. LOL. That’s one of my favorite features and why I prefer reading writing books as ebooks. I’d sort of sworn off more “how to” writing books, but just maybe I’ll make one more exception. 🙂 And the Farmer’s Market series sounds like an intriguing one. I hope you’re getting out from under all that snow and ice you had! We got lucky and missed most of Electra. I’m already tired of winter, and it’s not even officially here, yet! It’s been a while since I read one. I’m trying to make December productive. It’s very slow. No events. Sales are sluggish. So I’ve decided to make it a writing craft month and do lots of outlining, reading, and such. 🙂 Cozy mysteries are lots of fun. They are one of my favorite genres. Paige does a terrific job with her series. Sorry I’ve been so slow in visiting – just chaos right now…hoping it will level off a bit. So excited to get the card and picture from you! You know how much I love pictures – and their stories. Hope you and yours are snug and warm. Jingle on! No worries. It’s the holiday season, everyone is allowed a break and/or a slowdown. Aw, I’m so glad you liked them. Emers is in bed and waiting for me to join him. He loves to snuggle especially in the winter cold. LOL. I try to post reviews as many places as I can. 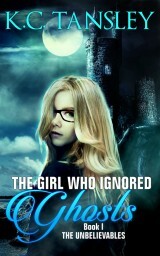 Goodreads, Amazon, and the blog are my main places. B&N has been wonky lately rejecting my password/making me post as anonymous. Grrr. I think you’ll like it. I really really did! I’d worry I found too many mistakes with the novel already written, and then be embarrassed. But, I’ll have to tough it out and take a look at that “how to” book. Thanks, Kourtney. LOL. Writing is tough that way. We are constantly improving, but that means cringing over what we previously thought was great writing. 🙂 I hope that each book is better than the last one. That will keep readers coming back.